Kieran Glover racing in Perth last month. LOCAL driver Kieran Glover has done it again, winning the Formula Vee National Series at the Phillip Island Grand Prix Circuit today. This is Glover's second national series win, and as with last year's effort, the honour came within weeks of winning the National Challenge in the same discipline. 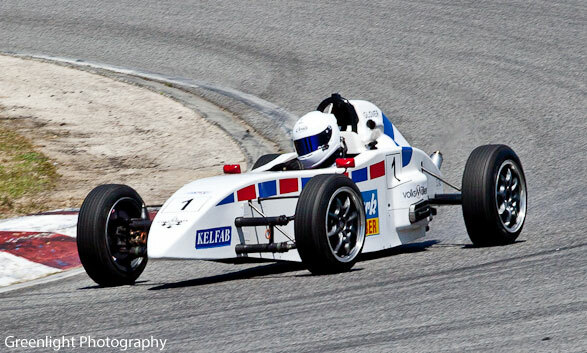 Formula Vee is an open wheeler race car category, based on Volkswagen parts, established more than 50 years ago. The category is recognised as the official entry-level motorsport category in Australia and Glover, from Sorell Creek, competes in the 1600cc division. Glover's national championship had already been locked when he finished in second place in the first race this morning. "It has been a huge achievement for our team to take out not only the National Challenge but now the National Series over two consecutive years," Glover said on Facebook tonight night. "Massive thanks to Clark Rubber Hobart for their continued support, my family, my partner Anita, and everyone that's helped me along the way." This bloke is a credit to the Valley. What a champion.